Hi, I AM WRITTING THIS IN REGARDS TO A FAMILY MEMBER. Hi, FAMILY MEMBER Have had burning legs from knees down to bottom of feet for 5 months. Have type two diabetes, but don't let that tHrow you off. Every doctors always blames the diabetes. Two Neurologist told me I mad have small fiber neuropathy, according to emg test, but can't guarantee it. Had b vitamin test done, B 12 level came back 470. my chloride level was low at 93, and my calcium level was high at 10.3. I dont think that has anything to contribute to the neuropathy i think. Problem is I worried all day about this unbearable pain, and my blood sugars #'s. I know stress canhing. When I am at home, and have my short pjs on, the pain is at a level of three, but when I have my pants on (dockers on), the pain is unbearable, 10 out of 10. The pain is so bad, I just want to die. The burning pain have affected my life. I am in a state of major depression, even contemplated suicide. Don't know what to do. READ ON WEB, A MAGNESIUM DEFICIENCY OR vitamin E Deficiency can cause server neuropathy, not have taken that test, since doctor didn't tell me about it. Going back eventually to get blood work. I have read on web if you are always stress out, it can cause burning legs 24/7, that is a bunch of bs, I believe. Got that article from anxiety website. I have bought this supplement on -line terry natually healthy feet and nerves, have take for 10 day, but no relief at all, just b vitamins with alpha liopic acid. Unfortunately, I took the r-liopic acid, but have lost weight, and can't afford to lose any more weight. Don't know what to do. I can't work anymore, upset, what can maybe give me some relief in your opinion. The question is, is this even neuropathy. I know neuropathy is tingling, numbness and burning and weakness in feet, in which i have trouble standing up, but i only have severe burning ,and trouble standing up (weakness in legs), not tingling and numbness. Thank you very much. There is a web site that has a certain supplement called nerve renew, I think it is bs. 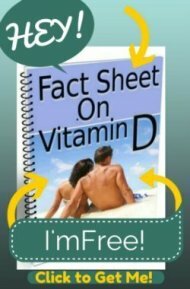 over 100 people saying these supplement are a miracle, what is you observation on this nerve renew. I'm confused by many things that you say. And your comment is long, so I'll comment 'in line' to each comment. You say, "I Have type two diabetes, but don't let that tHrow you off. Every doctors always blames the diabetes." That's because diabetes can lead to peripheral neuropathy. 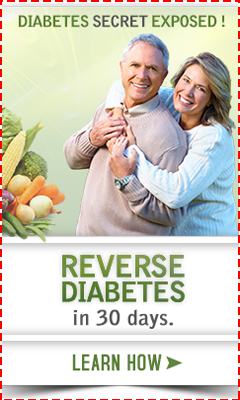 Eliminate your diabetes and that can help. Diabetes is extremely damaging to the body in many ways. Not sure why you think that the diabetes has nothing to do with the peripheral neuropathy. "My calcium level was high at 10.3. I dont think that has anything to contribute to the neuropathy"
"Problem is I worried all day about this unbearable pain, and my blood sugars #'s.I know stress can cause problems." Yes, so manage your stress and your blood sugars. Get on a meditation program, etc. Stress also contributes to lack of sleep, which can contribute to peripheral neuropathy and all sorts of problems. "I READ ON WEB, A MAGNESIUM DEFICIENCY OR vitamin E Deficiency can cause server neuropathy, not have taken that test, since doctor didn't tell me about it." You probably read about it because you are commenting on my Causes of Peripheral Neuropathy page and I write about it. And doctors don't tell you about those kinds of things. "Going back eventually to get blood work. I have read on web if you are always stress out, it can cause burning legs 24/7, that is a bunch of bs, I believe." Stress can cause all sorts of problems, including the oxidative stress that can lead to peripheral neuropathy, among one of the tons of problems that stress can cause. "Unfortunately, I took the r-liopic acid, but have lost weight, and can't afford to lose any more weight." You're probably losing weight from the stress, not the lipoic acid. "I know neuropathy is tingling, numbness and burning and weakness in feet, in which i have trouble standing up, but i only have severe burning ,and trouble standing up (weakness in legs), not tingling and numbness." Everyone describes peripheral neuropathy differently, and many many people find it extremely painful, even with burning pain. Your description sounds exactly like peripheral neuropathy, along with possibly some other issues.